The 600-1025-01-95R SuperBus 2000 alarm transceiver module expands the wireless RF reception range of compatible GE alarm control panels when located in the vicinity of sensors on the fringe of wireless RF reception. The SuperBus 2000 alarm transceiver works with all GE wireless devices. It receives the alarm signals from wireless sensors and touchpads, then sends the data to the alarm control panel via the SuperBus 2000 digital databus. A tamper switch on the 600-1025-01-95R alarm transceiver module activates an alarm event if the cover is removed while the security system is armed. 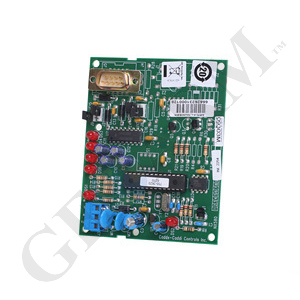 Power for the SuperBus 2000 alarm transceiver module is provided by the GE security system.